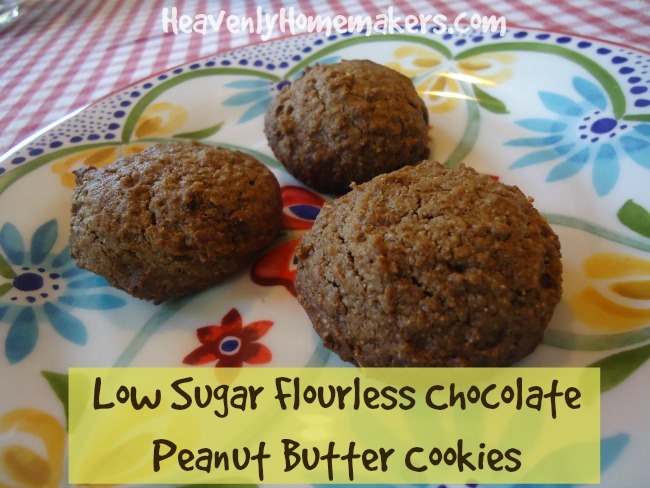 If we can make Low Sugar Flourless Peanut Butter Cookies, then surely we can add a little cocoa powder and make Low Sugar Flourless Chocolate Peanut Butter Cookies, dontcha think?? I had the grand idea of baking these in muffin cups so that they’d take on the look of a peanut butter cup. Too bad that didn’t really work. They look kinda cute in the muffin liners, but they didn’t really flatten enough to take on the shape of a peanut butter cup. We ate them anyway. It wasn’t a problem. Get my Homemade Natural Peanut Butter Recipe here. You’ll be amazed at how delicious homemade peanut butter tastes (and how easy it is to make)! Use a small or medium scoop to place dough balls on a cookie sheet, about two inches apart. Allow them to sit on the cookie sheet for a few minutes before removing them to cool on a rack. The flavor of these cookies is super delicious. 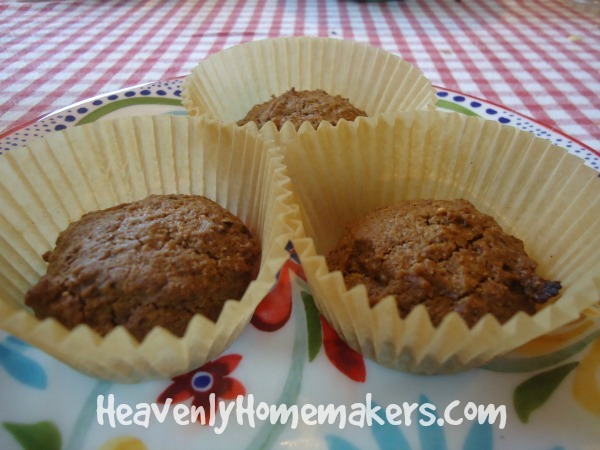 These will give you a great chocolate peanut butter fix, without all the sugar or even flour! I know I just shared this low sugar cookie list last week, but when it comes to cookies and cutting sugar, I want to be sure you know I have your back. I get many of my best ideas from YOU. What other cookie recipes should I play with to see if I can create a low sugar version?